While summer has just begun it’s time to think about mouth guards for dental safety. Athletic mouth guards are not just for football and hockey. Many sports such as gymnastics, skating, martial arts, basketball just to name a few can put a smile in harm’s way. Mouth protectors can cushion a blow and help protect the teeth as well as reduce the chance or severity of a concussion. The American Dental Association has recommended mouth protection for 29 sports. 80% of all dental sports injuries occur to the upper front teeth. 600,000 emergency room visits each year are related sports related mouth injuries. 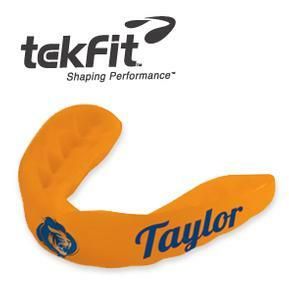 There are three main types of mouthguards: store-bought off the shelf appliances, boil and bite semi adjustable guards and the custom-made personalized fit athletic mouth guard. The store bought mouthguards only work if they are in the right position. Most athletes don’t want a piece of plastic flopping around their mouth when they run. Off the shelf guards have no real fit and often does not allow for speech. Boil and bite guards are the go-to for most people. The upside is that if they are done correctly the teeth imprints in the guard will help stabilize it. However, very few people can accurately fit a boil and bite guard. Usually for the biting to have a good effect the guard must be so hot that it’s hazardous to actually bite into. The guards usually come in adult and youth sizes, but to be fair most adult guards are too big even for many adults. Boil and bite guards are made of a softer material, they often get chewed or develop holes. These guards may need to be remade often. Custom fit guards are not as expensive as you think. Many dentists offer them for between $60 and $100.00. An impression is taken and the guard is made on a casting of the athletes’ teeth. The guard is just the right size and designed specifically for the sport involved. Maximum protection is the key to safety with a minimum of extra material to interfere with breathing or speech. These guards fit snugly against the teeth and will not dislodge during exercise or even speaking. When is the right time for a custom mouth guard? Children who play contact sports need great protection; however a custom fitted mouth guard will soon be obsolete if a child is still losing baby teeth and growing new adult teeth. Braces and custom mouth guards do not mix. So if your child needs a mouth guard get them a good boil and bite option, be sure to follow all the instructions and trim away excess length prior to boiling. Some dentists will help fit the guard or will provide semi custom guards in order to protect the teeth. 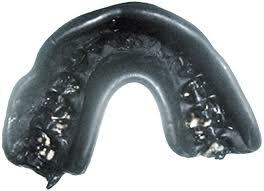 Custom mouth guards are ideal once a child has grown all of their permanent teeth, around age 12 – 14. Ask your dentist about a mouth guard. 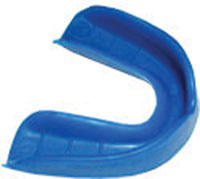 Adults who participate in any contact activity even if its pick-up basketball should protect their teeth and dental work with a sports guard. We protect our feet with highly engineered footwear; we should treat out teeth the same. Not all custom mouth guards are the same. The newest is the TekFit guard. This process makes the guard under pressure instead of under a vacuum. This can be significant in terms of final fit. Are you the creative type? 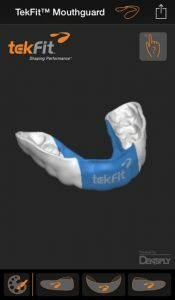 The TekFit 3D App from the iTunes App store will allow you to design and customize your own mouth guard for fun or to show your dentist so they can make it just for you. You can choose color, add text and images make it just the way you want. Have a great summer, be safe, be healthy and take care of those great smiles. Dr. Stephanie McGann, who has more than two decades of dental practice experience, is a resident of the Unionville area and along with her partner, Dr. Marie Scott, operates The Brandywine Smile Center, a family-friendly dental practice in Concordville. Dr. McGann has opened a new practice in Valley Township, Rainbow Valley Dental. She is the current President of the Chester/Delaware Dental Society and she is a Fellow of the Academy of General Dentistry.